Providence, known as the "Renaissance City" has a variety of attractions of interest to runners and their friends and families before or after the Providence Half Marathon. Come for the race, and stay to enjoy a few of the other activities offered by this beautiful city. Culinary Archives & Museum at Johnson & Wales U. Just down the road from Providence is historic Newport, RI - home to the vacation residences of many of the country's largest industrialists. Many of these mansions are now open to the public, providing a glimpse of life from a different era. Also in Newport is the International Tennis Hall of Fame Museum. Copyright ©2003- 2019 Providence Half Marathon. 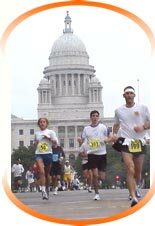 Website designed and hosted by MarathonGuide.com.